We are all aware of the environmental problems that are affecting our planet. And Toyota has been one of the automakers that have been trying to develop cars that can’t harm the environment. One of the most recent best of Toyota is the 2018 Toyota Mirai, a mid-size four-door sedan that is entirely powered by hydrogen. Discover the best 2018 Toyota SUVs. One of the inconveniences of the 2018 Toyota Mirai is the fact that it is only being sold in some areas of California where there are already some hydrogen fueling stations. However, there are still few. While you haven’t probably seen a 2018 Toyota Mirai in the street, the truth is that both Toyota and Honda are investing millions of dollars in the creation of more hydrogen fueling stations. 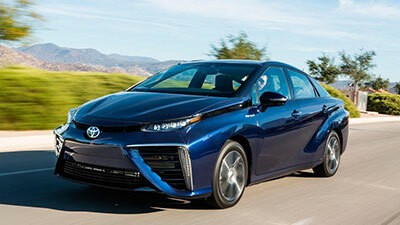 With that said, what can you expect of the 2018 Toyota Mirai? One of the things that you will immediately notice is that the 2018 Toyota Mirai is not particularly beautiful. The truth is that many people consider it ugly and they would never buy it. Nevertheless, we need to understand that the implementation of hydrogen is very positive. 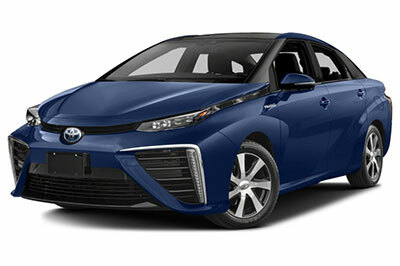 Most people tend to criticize the fact that Toyota has created a very futuristic car with the 2018 Toyota Mirai. With mostly square shapes around the entire car, the truth is that the 2018 Toyota Mirai is not very appealing. One of the things that you may notice when you are driving the 2018 Toyota Mirai is that the experience is very similar to driving the Toyota Prius. After all, it was based on this iconic hybrid. Inside the cabin, the similarities are also huge. The 2018 Toyota Mirai also includes the central instrument panel and the center console that seems to be floating. While this kind of interior may seem a bit strange, the truth is that it is very practical. All the controls are easily accessible and you won’t have any problems using the infotainment system. If you are one of the many people who like to be the first to try out new things, then the 2018 Toyota Mirai may be just perfect for you. After all, the 2018 Toyota Mirai is an electric hybrid that gets its electricity from hydrogen. The 2018 Toyota Mirai comes with two hydrogen tanks – one under the trunk and another one under the rear. The engine is simply quiet and the acceleration is brisk. In what concerns with the price, you can get the 2018 Toyota Mirai at a starting price around the $57,000. However, you may take advantage of some rebate just because you are willing to try out a new technology that may well become the future. Overall, the 2018 Toyota Mirai is clearly not for everyone. 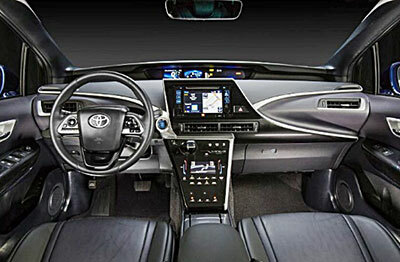 The exterior design is not particularly appealing and the interior seems to be a copy of the Toyota Prius. Nevertheless, Toyota is once again showing us why it is one of the automakers that sell more cars all over the world. The truth is that they are making a clear bet on innovation.